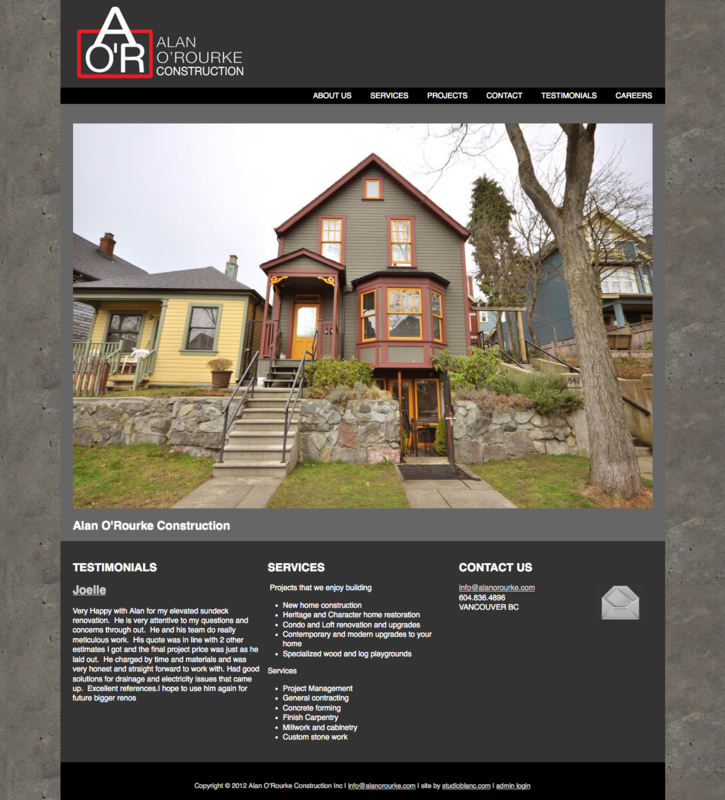 Alan O’Rourke Construction’s website is a clean, modern design with a drupal cms backend for easy updates. The site features a portfolio of image of renovations on heritage and character homes and well as new construction. The client also required branding. We came up with a clean and effective logo that speaks to architectural lines and building.